The meadow vole is a common North American mammal that is widely distributed across this continent. 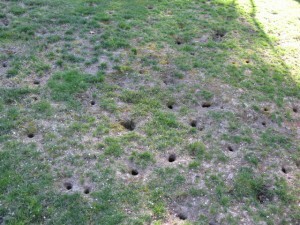 It is highly active and lives in burrows dug into the ground. In spite of the fact that they live in locations within close proximity to one another, they constantly fight with other members of the same species. They sometimes damage garden plants, fruit trees and commercial crops. 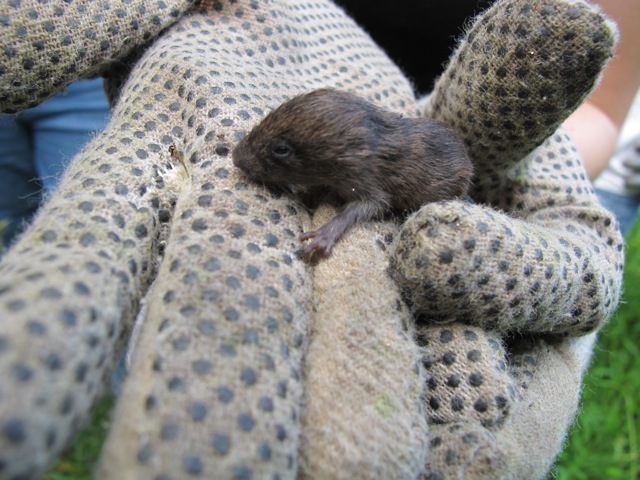 Meadow voles are active during all times of the day but are mostly nocturnal during summer and diurnal during winter. The females of this species defend their territory vociferously. In rare cases, where there is more than one female in a territory with one of them being much larger than the others, they are the mother living together with their daughters. The presence of the mother among her daughters seems to act as a deterrent in letting her offspring start breeding. 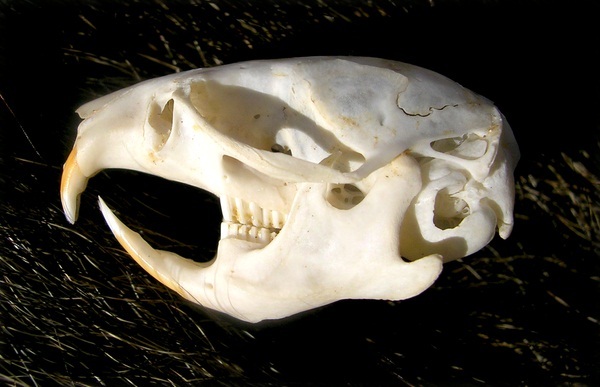 Though these rodents are solitary, during the breeding season they live together with other family members who are not mating. These small mammals can dig and swim well. They also have the ability to build runways in the middle of vegetation for the purpose of depositing food. 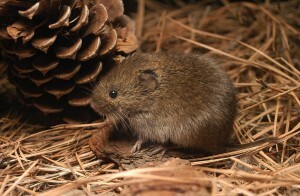 Meadow voles show promiscuous mating behavior, with the female entering estrus after establishing contact with an adult male. The onset of estrus triggers ovulation with the result of successful pregnancy resulting soon afterwards. 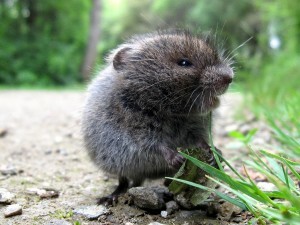 Meadow voles exhibit aggressive and antagonistic behavior among themselves, where the females dominate the males and the males fight with each other. Meadow voles have the ability to reproduce exponentially. This is because the females are capable of breeding when they reach the age of 20 days. 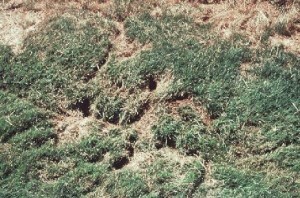 There is no mandatory interval period between raising two litters, and this helps in raising the population of meadow voles in a particular area. This more than offsets the fall in their population due to various larger animals and birds preying on them. 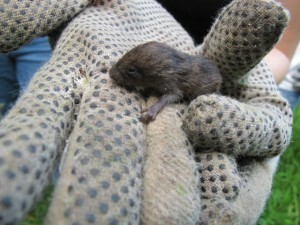 The gestation period for meadow voles lasts for 20 to 23 days. Neonates are born hairless and pink in color with their eyes and ears closed. At the end of three days, they get their first strands of fur and by seven days, they are fully covered with fur with the exception of the belly. At the end of eight days, they open their eyes and ears for the first time. These neonates are weaned at the age of 12 to 14 days. 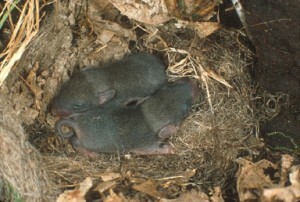 The average litters of meadow voles have four to six young and the range varies from one to eleven pups. In general, summer litters are bigger than litters in the other seasons. Among meadow voles, the females reach reproductive maturity at a much younger age, with some of them getting pregnant at the age of three weeks. On the other hand, males are not capable of producing sperm until the age of six to eight weeks. Meadow voles move about by building a labyrinth of tunnels and burrows that keeps them protected from predators. These small mammals have adjusted themselves in such a way that they can eat a huge variety of foods. Even though they are solitary by nature, they give warning signals to other members of their species by making noise with their big hind feet similar to what rabbits do. This helps them to flee quickly from any dangers. Meadow voles are less active during full moon nights. 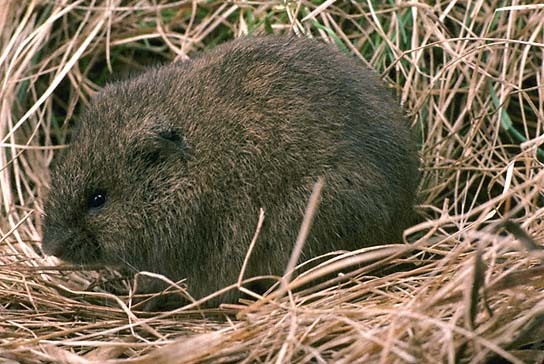 A female meadow vole raised in captivity gave birth to 17 litters in a year. 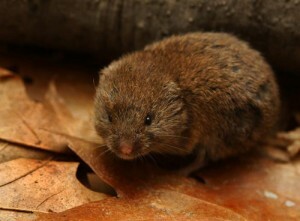 Research indicates that the lifespan of the meadow vole is one of the shortest among mammals.